Kay's one time only appearance at the festival proved to be a successful one and of course afterwards the rest was plane sailing! 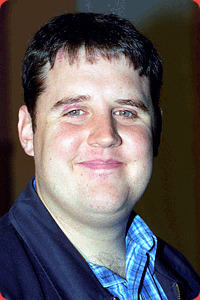 That Peter Kay Thing and Phoenix Nights soon followed and became cult TV hits. Add to that acclaimed stand up tours and Kay had become an irresistible force and a household name who would grace any chat show and award ceremony.